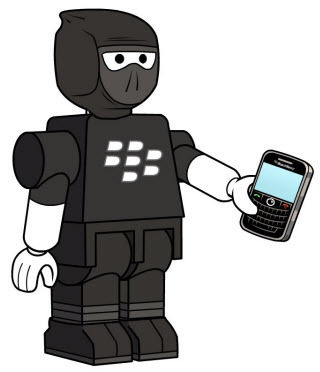 Now You Can Be A BlackBerry Ninja Too... Or At Least Wear The Shirt! We've all heard the term used right? BlackBerry Ninja -- it's not a new thing to hear these days. RIM, as they get ready for the BlackBerry Developers Conference has shown they are not some stuffy company and can (and do) like to have a little fun. The latest showing of this is a promotion for the BlackBerry Developers Conference wherein users can create avatars, wallpapers and even shirts with their own customized BlackBerry person on them.